As you might have seen the pattern with ContentManager and Item objects, the UserManager object is a resource manager that gives you access to User objects. You access a UserManager object not by instantiating that class through its constructor, but by accessing the users property of your GIS object. This is the typical pattern of usage throughout the gis module. Similar to Item objects, when using the Jupyter notebook IDE, you can visualize User objects in rich HTML representation with thumbnails and attribute information. You can find out when an account was last active and determine if an account was abandoned and remove it if necessary. The search() method of UserManager class helps you search for users of the org. The query parameter in the search() method accepts standard ArcGIS REST API queries and behaves similar to the search method on ContentManager and GroupManager classes. To illustrate this better, let us search ArcGIS Online as there are many more users available there. Each element in the list returned is a User object that you can query. 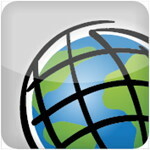 Bio: This account is managed by Esri, Inc. staff and used to curate Basemap content for the Living Atlas of the World. To nominate your content for the Living Atlas, please visit livingatlas.arcgis.com/contribute. To contact the Esri Curators, please email curatelivingatlas@esri.com. Bio: This account is managed by Esri, Inc. staff and used to curate Historical Map content for the Living Atlas of the World. To nominate your content for the Living Atlas, please visit livingatlas.arcgis.com/contribute. To contact the Esri Curators, please email curatelivingatlas@esri.com. You can add new users to the org using either the signup() or create() methods available on the UserManager class. The signup() method is limited in scope as it can be used only for adding built-in accounts to an ArcGIS Enterprise instance and not for an org that is hosted on ArcGIS Online. However, you can call the signup() anonymously and does not require admin privileges unlike the create() method. Note, you can disable self-signup in your ArcGIS Enterprise which would render the signup() unusable if you wanted to turn the org invite-only. You need admin privileges to call the create() method. This method is very powerful in an instance of ArcGIS Enterprise, as it allows you to create new accounts from either the arcgis built-in credential store or your enterprise's credential store. For an ArcGIS Online Organization, you can only create users that will use the built-in credential store. For the case of accounts from a built-in credential store, you would provide a password when the account is created. The user can change it at any time once they login. For accounts from your enterprise's credential store, you can ignore the password parameter and your users will authenticate through that credential store. In addition to role that can be set, a level can be used to allocate accounts based on the privileges that members need. The level determines which privileges are available to the member. The enterprise offers two levels of membership. Level 1 membership is for members who only need privileges to view content, such as maps and apps, that has been shared with them through the organization, as well as join groups within the organization. Level 2 membership is for members who need to view, create, and share content and own groups, in addition to other tasks. Note that we specified arcgis as the provider argument. If you were creating accounts from your enterprise credential store, you would specify this value as enterprise and use the idpUsername parameter to specify the username of the user in that credential store. To learn more about this configuration, refer to this help topic on setting up enterprise logins. Note, the role parameter was specified as org_user. This takes us to the next section on Role and RoleManager objects. ArcGIS provides a security concept called roles which defines the privileges a user has within an organization. By default, your org has 3 roles - org_user, org_publisher and org_admin. You can refer to this topic on organizational roles to learn about these three roles and their privileges. In summary, a user role can be an active user of the org, create items, join groups and share content. A publisher role has all of user privileges and can create hosted content and perform analysis. An administrator role has all possible privileges. Since this user was created with a built in role specified as a string, we get back a string with value org_user. Let us create a new role that can only publish tile layers. This role should have none of admin privileges and can have only some of user privileges, namely creating new items and joining groups. To create a new role, call the create() on RoleManager class. As with any resource manager, you should access it through the roles property on a UserManager object. You should access the UserManager object in turn through the users property of your GIS object. Note: the privileges parameter was provided a list of strings specifying each individual privilege. Refer to the api ref doc on the privileges parameter to know about the finite list of strings you can use. Now that we created a Role object with desired privileges, let us create a new user with this role. The workflow here is to create a user account with one of 3 default roles then use the update_role() method of the User object to update to a custom role. role = 'org_user') #org_user as thats the closest. Querying the privileges property of a User object returns a list of strings with fine grained privileges. When creating a Role object, you can pick and choose from this or refer to the api ref doc. You can delete user accounts by calling the delete() method on a User object from an account that has administrator privileges. However, deleting raises important questions such as what happens to the content owned by that user? Further, ArcGIS does not allow you to delete users until you have dealt with that users' items and groups. Thus as an administrator, it becomes useful to list and view the content owned by any user in your org. Once you have a User object, you can view the folders and items owned by the user by querying the folders property and calling the items() method. Thus using a GIS object created with an account that has admin privileges, you were able to query the contents of another user without knowing that user's password or logging in as that user. As an administrator, you have the privileges to list and view other users' content. When the time comes to delete a user account, you can filter these items and choose to preserve some of them and delete the rest. Let us delete the tiles_pub_user account we created earlier in this guide. You can reassign specific items to another user by calling the reassign_to() method on that Item object. Let us reassign the tile layer named Transport_tiles to publisher1 account from earlier. We can get rid of the redundant ocean_tiles items and reassign the rest, to the account arcgis_python_api. Since this user does not have privilege to create groups, we do not have to worry about that. We can then delete this user safely. Thus, we have successfully deleted a user after taking care of that user's content.